An overnight fire at a house in Cambridge has left a firefighter with second-degree burns. 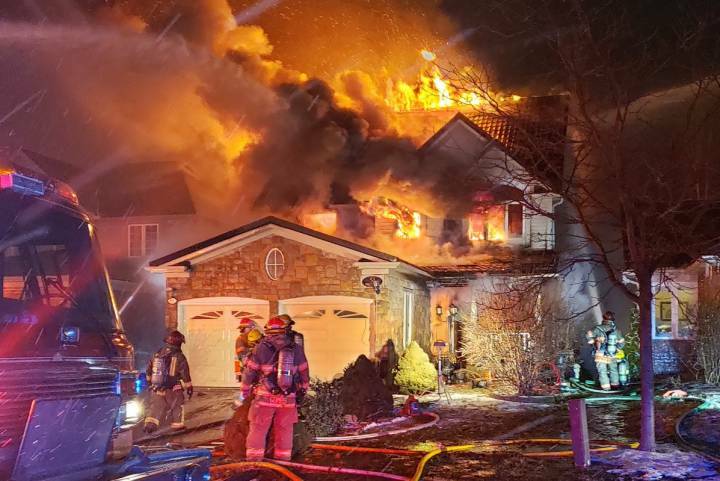 Waterloo Regional Police say they were called to the fire at 51 Livingstone Cres., along with members of the Cambridge Fire Department and paramedic services, at around 8:30 p.m.
A member of the Cambridge Fire Department was injured battling the blaze. All of the residents of the home and several neighbours were evacuated. They were taken to a Grand River Transit bus for shelter. Police say the Ontario Fire Marshal’s Office is now investigating the blaze.